Born: December 9, 1767 in Harwich Ma. 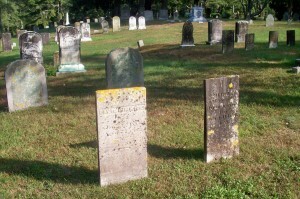 Died: March 11, 1849 in Sandwich Ma. at 81 yrs. Married: December 13, 1787 in Harwich Ma. 1. David Dimmock, Jr.; (July 13, 1792 – August 4, 1879); Married Esther D. Wing (1794 – 1874) (Judah Wing & Rebecah (Wing)) in Sandwich Ma. on August 31, 1816; They had 6 children; Esther is buried in Cataumet Cemetery. 2. Frederick Dimmock, Capt. ; (1794 – May 26, 1874); Married (1) Rhoda Hall (1796 – 1827) in int. January 18, 1823 & married (2) Maryann N. Lawrence (1801 – 1891) (David Lawrence & Huldah Doty) in Sandwich Ma. on August 27, 1829; Frederick had 2 children by Rhoda & 6 children by Maryann; Frederick, Rhoda & Maryann are buried together in Cataumet Cemetery. 3. Abigail Dimmick Swift; (1797 – December 4, 1824); Married James Swift (1793 – 1873) (Moses Swift, Jr & Rebecca Nye) in Sandwich Ma. on April 26, 1819; James married (2) Priscilla Benson (Cowing) in Rochester Ma. on March 25, 1826; Abigail, James & Priscilla are buried in Cataumet Cemetery. 4. 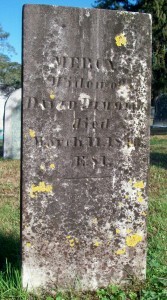 Syrena Dimmick Nye; (1801 – September 20, 1872); Married Ebenezer Nye, Jr., Capt. (1799 – 1891) (Thomas Nye, Rev War & Mary Ellis) in int. September 11, 1819; They had 8 children; Syrena & Ebenezer, Jr. are buried in Cataumet Cemetery.